A delegation of the International Republican Institute (IRI) has said that the parliamentary elections in Ukraine have been conducted in compliance with the international standards. "We congratulate Ukraine on conducting an election that met international standards. The vote is an affirmation of Ukraine's desire for national unity," co-leader of IRI's delegation and former US Ambassador to Poland Victor Ashe said. IRI observers reported only minor non-systemic irregularities and none that would affect the outcome of the election. "In a sharp contrast with elections before 2014, observers did not witness abuse of administrative resources during the campaign," Ashe said. He said that that the election was well-administered and polling officials should be commended for the role they played in the process. "Observers saw continued improvement in the voter lists and voters were able to easily receive a ballot after providing proof of identification," the delegation head said. Besides, the IRI's delegation praised the CEC for its administration of the election and its dedication to an open and transparent process. 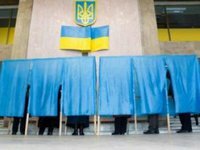 IRI observers visited more than 150 polling stations in Cherkasy, Chernihiv, Dnipropetrovsk, Donetsk, Kharkiv, Kyiv, Lviv, Mykolaiv, Odesa, Ternopil, Volyn, Zaporizhia and Zhytomyr regions.